A design and participatory project for a Camden Secondary School that aims to improve the quality of both the inside and outside spaces of Acland Burghley’s iconic brutalist building (recently listed Grade 2). 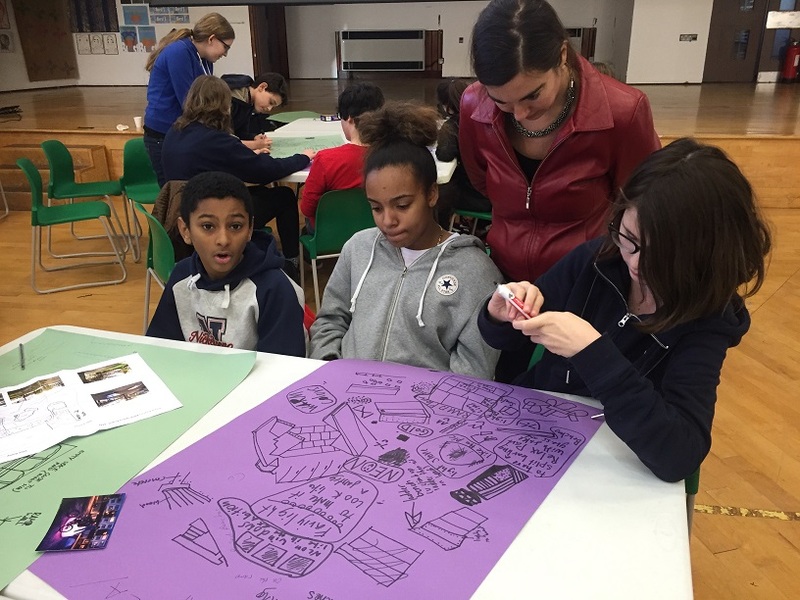 This is an on-going design project: including student and teacher consultation surveys; participatory design workshops; and the celebratory and fundraising event, ‘Lighting Up Burghley’. Venetia is co-chair of the ABBS group, working with designers including Fitch, Sheppard Robson, Gladstone Crafter Landscape Design, Urban Electric Company and Configuring Light (staging the social).